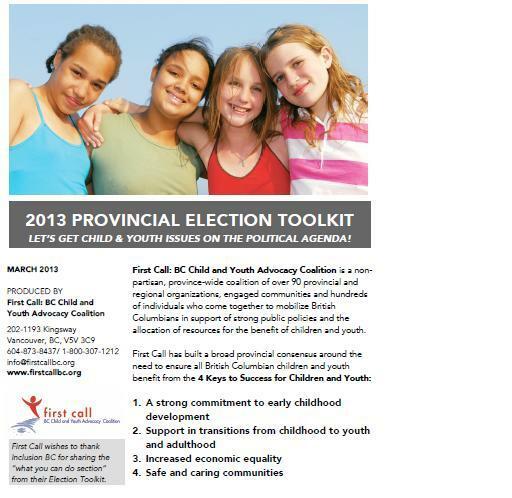 First Call 2013 Provincial Election Toolkit | LET’S GET BC’s CHILDREN & YOUTH ON THE POLITICAL AGENDA! First Call: BC Child and Youth Advocacy Coalition is a non-partisan, province-wide coalition of over 90 provincial and regional organizations, engaged communities and hundreds of individuals who come together to mobilize British Columbians in support of strong public policies and the allocation of resources for the benefit of children and youth. May 14, 2013 is election day in the province of British Columbia. On that day, eligible voters exercise their right to vote for one of the candidates in their riding to represent them in the provincial legislature. 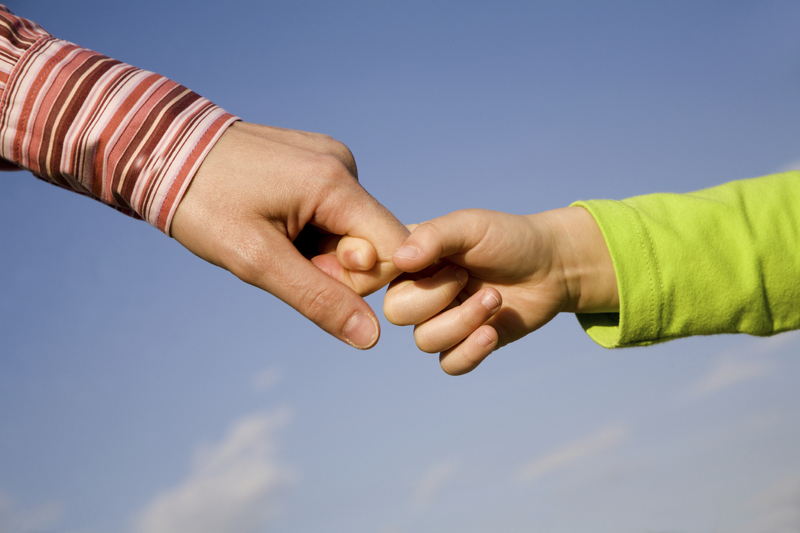 The purpose of this toolkit is to support individuals and community groups in their advocacy for legislation, policy and practice that benefit children and youth and their families in the lead up to the May 2013 provincial election. First Call partner organizations with expertise in different areas contributed many of the facts, ideas and recommendations in the kit. First Call wishes to thank Inclusion BC for sharing the “what you can do section” from their Election Toolkit. The toolkit is structured around the 4 Keys to Success. Each section highlights some of the current issues facing children, youth and families in BC and suggests solutions government can act on, in the form of questions to candidates. We have also included information on how to vote, information about the parties running in the election, information about where to find the money for children and youth, as well as links to additional election resources. Please be in touch if you know of other election resources we could include in this toolkit.